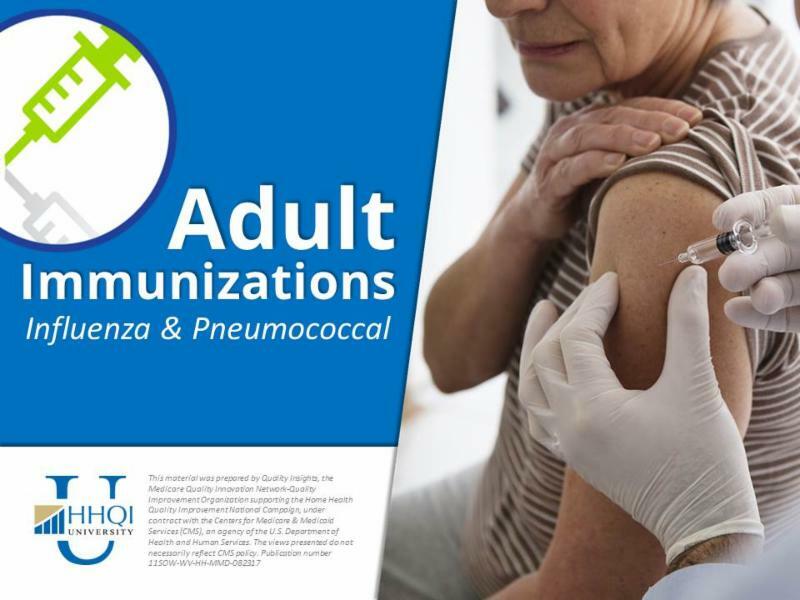 The Adult Immunizations course in HHQI University has been updated to include the latest CDC immunizations guidelines, statistics, herpes zoster vaccine availability, and additional resources. Adult Immunizations offers nurses 2.0 contact hours of continuing education credit. In conjunction with the release of HHQI's extensively revised Falls Prevention Best Practice Intervention Package, a new course has been added to HHQI University. 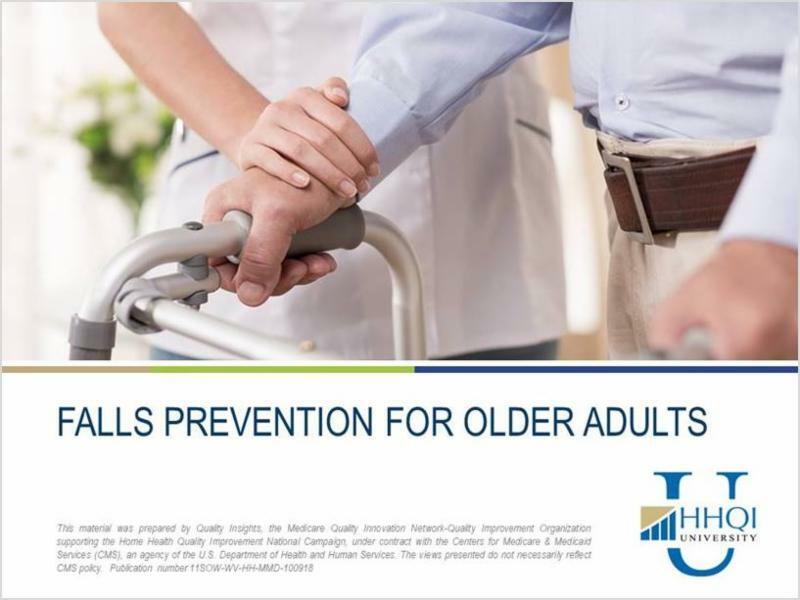 Falls Prevention for Older Adults offers nurses 3.5 contact hours of continuing education credit and physical therapists 2.0 continuing competence units. Continuing education credits for nurses have been approved by the Alabama State Nurses Association, an accredited approver of the American Nurses Credentialing Center's Commission on Accreditation. Continuing competence units for physical therapists have been approved by the Federation of State Boards of Physical Therapy through ProCert. View list of accepting states. This material was prepared by Quality Insights, the Medicare Quality Innovation Network-Quality Improvement Organization supporting the Home Health Quality Improvement National Campaign, under contract with the Centers for Medicare & Medicaid Services (CMS), an agency of the U.S. Department of Health and Human Services. The views presented do not necessarily reflect CMS policy.